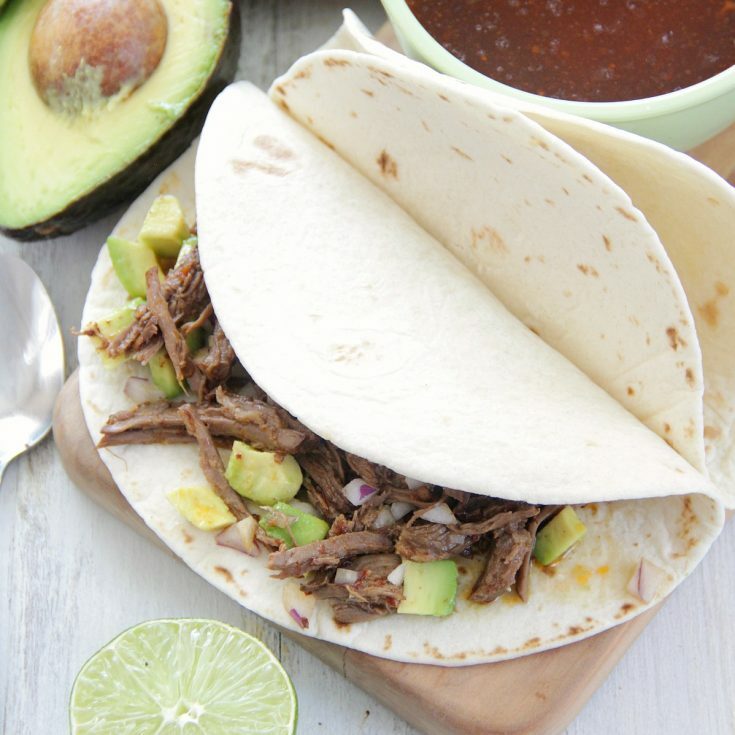 Slow Cooker Beef Barbacoa Tacos (or Instant Pot) - Eat. Drink. Love. Tacos, tacos, tacos! Tell me one person who doesn’t like tacos. I mean, seriously, who doesn’t love a good taco? I know of nobody who dislikes tacos! 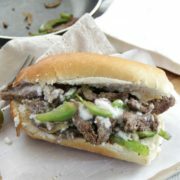 Typically for me, I go for just chicken or fish tacos, but sometimes you gotta give the beef a chance! Traditional barbacoa is made with a cow’s head I believe. Eeeeeek. No cow’s heads were injured in the making of these tacos. So, obviously I guess you can say these aren’t authentic, but this beef barbacoa is darn delicious so I say it doesn’t matter! I start off with browning the beef because it will give it more flavor. The sauce is just a mixture of broth, chipotle peppers in adobo, and some spices. The chipotle peppers do add a bit of heat to the meat, but after cooking for so many hours, I wouldn’t say these are really spicy at all. You can feel free to adjust the amount of peppers used though if you want more or less heat. Now, please note that you can also make this recipe in the Instant Pot if you have joined the pressure cooking fan club! I’ve provided directions for both the slower cooker and Instant Pot. Either way, the meat comes out so nice and tender! 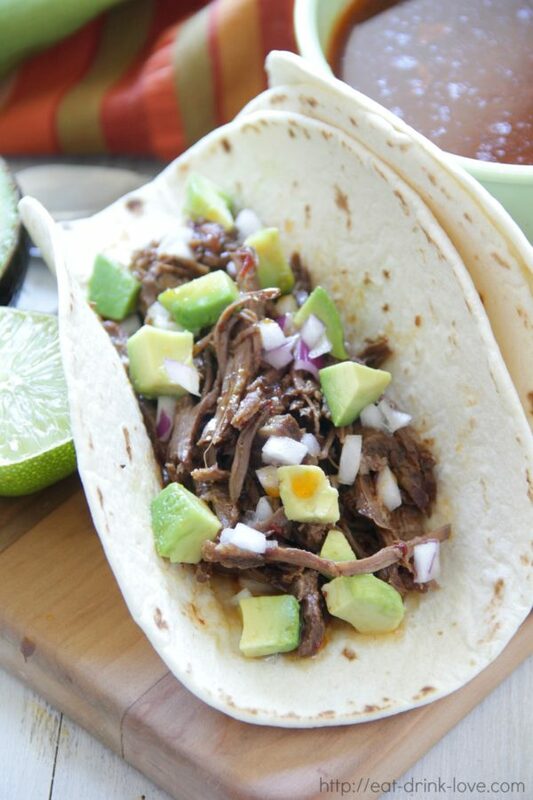 While I made this recipe for tacos, it would also work perfectly for really any Mexican dish from burritos, quesadillas, enchiladas, nachos, you name it! 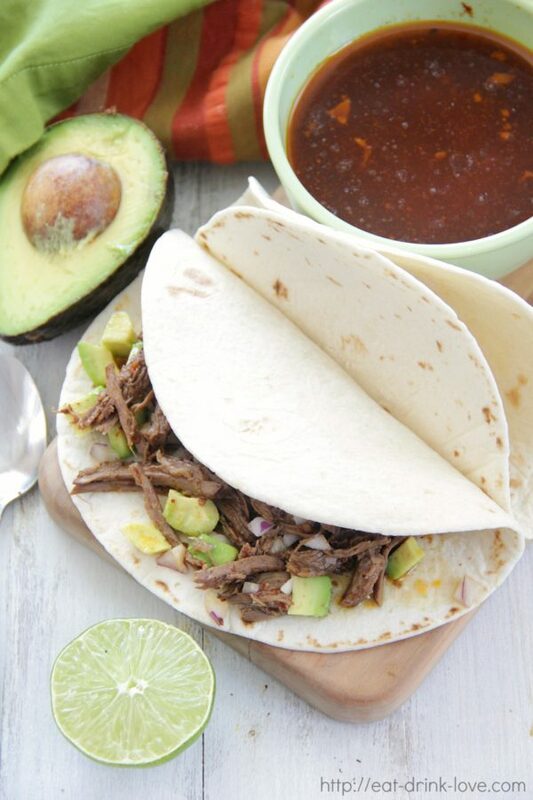 The easiest beef barbacoa tacos cooked right in the crockpot OR the Instant Pot! 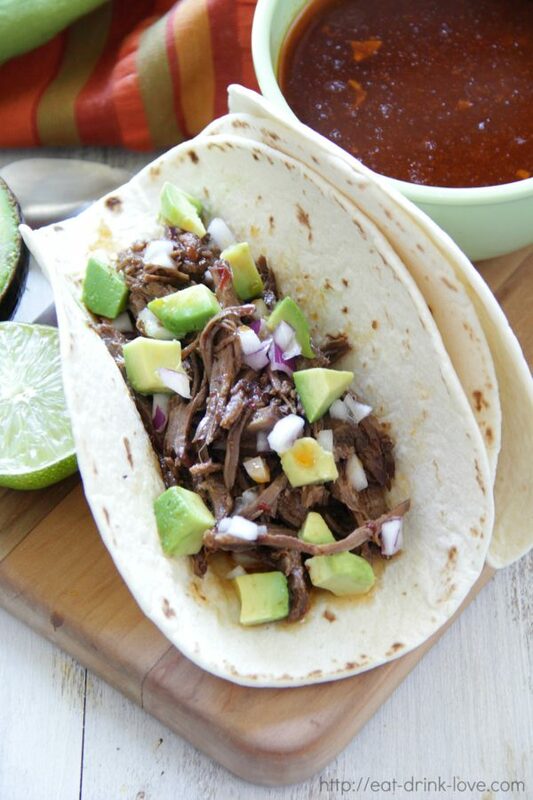 Meat is also great for burritos, enchiladas, or bowls! Heat the oil in a large skillet. Add the beef and brown one side, about 4 minutes. Turn the beef over and cook another 4 minutes or until browned. 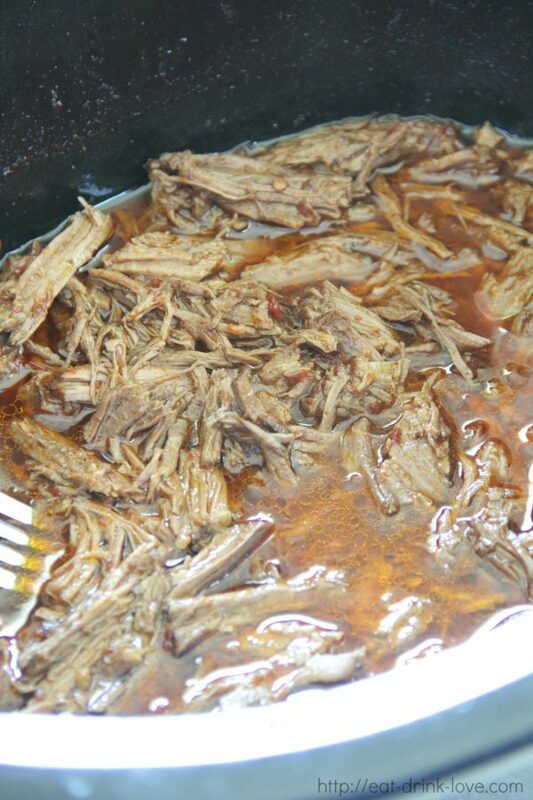 Remove from the heat and place the browned beef in the slow cooker. If you are using the Instant Pot, you can use the saute function to brown the beef. Add the broth, chipotle peppers, cumin, and other spices to a food processor. Blend until the chipotle peppers are completely pureed. Pour the mixture over the beef. For the slow cooker, cover and cook on low for 7-8 hours or on high 4-5 hours until fork tender. If using the Instant Pot, cook on manual high pressure for about 60-70 minutes with a 15-minute natural release (then manual release). When done, remove the beef and shred with a fork. 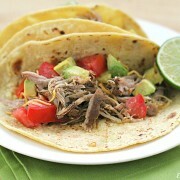 Return to the slow cooker to soak up the sauce for a few minutes before serving with desired taco fixings. 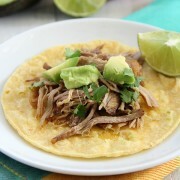 Check out these other slow cooker and IP Mexican-style recipes!